This is a wonderful find from a voluminous archive. 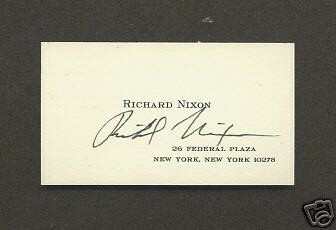 From the Gerald William Burg Visiting and Calling Card collection this is a signed calling card from Richard Nixon. Toning to page.